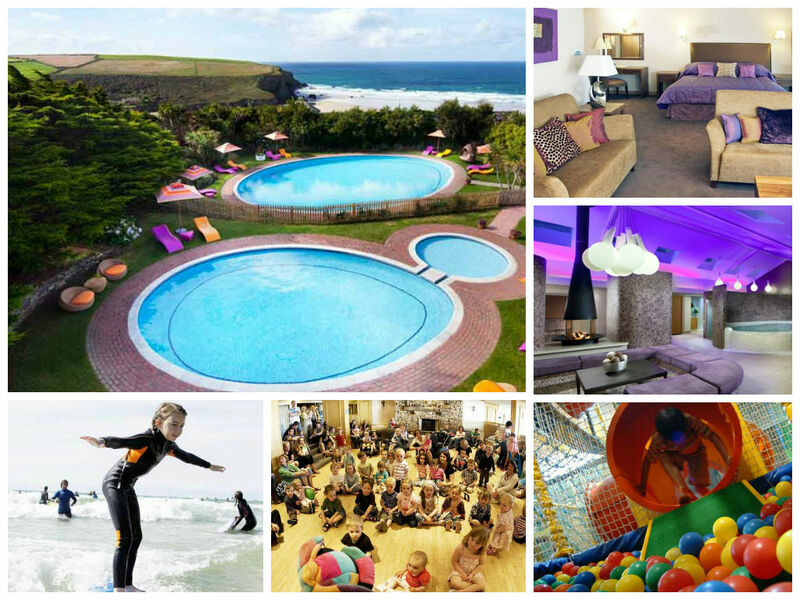 Bedruthan is an award-winning family friendly hotel and spa located above Mawgan Porth Beach in north Cornwall. The hotel offers a range of child-friendly activities including indoor and outdoor swimming pools, kids’ clubs and organised activities, while parents will enjoy a range of childcare options and the on-site luxury spa. The Bedruthan Hotel is located between Newquay and Padstow on the north Cornwall coast. The hotel has the fantastic child friendly beach of Mawgan Porth on its doorstep, and is within easy reach of numerous Cornish family attractions. The Bedruthan Hotel offers a range of accommodation options, many of which are specifically designed for those visiting with young families. In addition to standard twins and double rooms there are spacious apartment suites sleeping 5-6, sea view villas with a king bedroom and separate room with bunk beds, interconnected rooms with a double on one side and a twin on the other, and family rooms with a double plus further singe beds. At peak summer time, a night for a family of four in one of the premium options – a sea view apartment with two bedrooms – is likely to cost around £405, with a sea view family room (i.e. you’re all sleeping in one room) costing a more affordable £285. Prices do, of course, fall significantly out of season; there are also flexible dining packages available which include a certain sum to spend in the on-site restaurants at whatever time suits you best. The Bedruthan is very well equipped for children of all ages, from babies on their first holiday away from home through to older school-age children. For the youngest tots there are baby exploring play areas including a ball pool, slides, swings, wooden ride on toys and baby rocking horse; for toddlers there are a variety of play areas to explore including an outdoor wooden ship, adventure play and trampoline and indoor jungle tumble and play rooms. Older children can also make use of an assault course and zip wire, air hockey, table football and a Wii games room. Children of every age will also undoubtedly enjoy making use of the warm indoor swimming pool (with plastic pool toys and swimming nappies provided) and, for sunny days, the fantastic outdoor pool, and there’s also a football pitch and tennis court (with rackets available to hire). If that wasn’t enough Bedruthan offers a wide variety of organised entertainment to keep children happy including free surfing lessons during peak times, daily childcare sessions (see below), evening entertainment such as clowns and magicians, and loads of other organised activities for children including singing, shadow puppetry, cooking, wild walks, origami and screen printing. And of course, the attractive beach at Mawgan Porth is only a short walk away. Bedruthan is undoubtedly designed to provide grown-ups with a relaxing holiday of their own, too. Each child staying at the hotel is eligible for two hours of free childcare daily, and there’s an Ofsted-registered kids club for all ages, meaning mum and dad can enjoy a rare relaxing seaside stroll without the kids in tow – or perhaps take advantage of the Bedruthan’s own on-site luxury spa which offers a deep and luxurious spa pool, a cedar sauna, eucalyptus steam room and lavender caldarium all with the background setting of spectacular sea views; there’s also a full fitness centre. 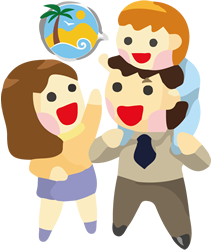 Similarly, if parents fancy treating themselves to a meal out or drinks one evening then Bedruthan is well-equipped for that too, with a free baby listening service, full babysitting option bookable in advance, or an evening kids’ club if you don’t mind the little ones having a later night than usual. The hotel has its own restaurant, cafe and bar, or you could take the short journey into Padstow or Newquay where a wide variety of pubs and restaurants await. To help visitors travel lightly, the hotel can supply all the baby and toddler equipment you might need including cots, bottle warmers, changing mats, baby baths and baby back packs (perfect if you fancy a coastal climb with the baby!). Some of the rooms at Bedruthan are pet friendly – check before you book – and there’s free WiFi in communal areas. It doesn’t come cheap at peak season, but for parents seeking a relaxing Cornish holiday with oodles of activities to keep the children happy and the option of childcare to allow mum and dad a well-deserved meal out or spa visit, then you probably won’t find somewhere better equipped for a family break than the Bedruthan Hotel. If you’d like to find out more about family friendly holidays at the Bedruthan Hotel, including booking and availability enquiries, just fill out the form below.